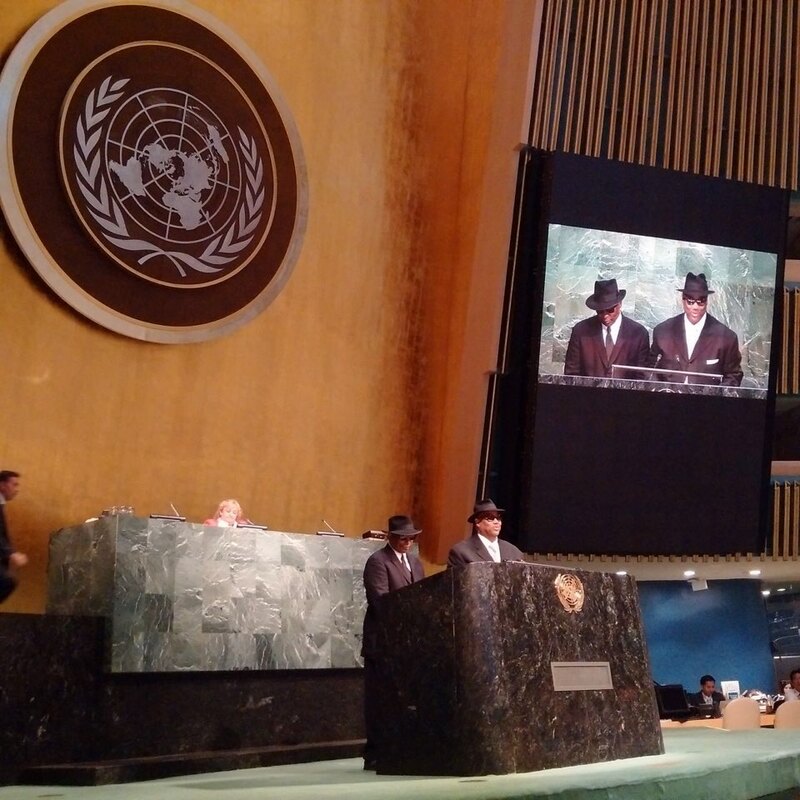 oneK - Eng - Start with the support of the world at the UN headquarters. Start with the support of the world at the UN headquarters. 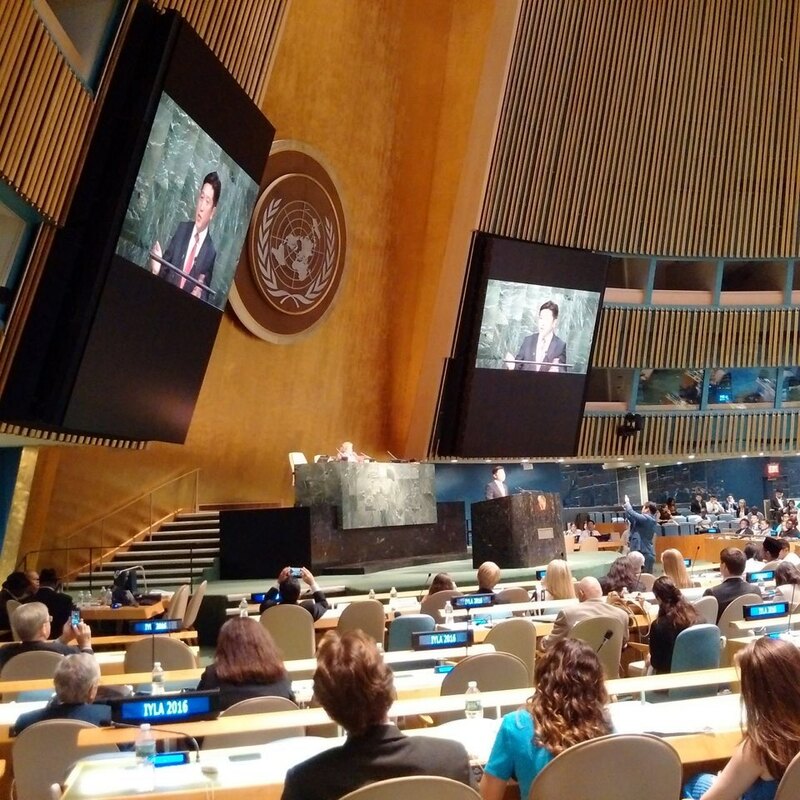 On August 16 (local time), the resolutions of the world youth were gathered to realize a new global society at the UN General Assembly Hall. With about 1,000 young leaders participating from 120 countries, the International Young Leaders Assembly (IYLA) was held under the theme of ‘Moral and Innovative Leadership: Vision, Service and Entrepreneurship’. On the same day, the IYLA Global Summit for nurturing young leaders by effectively implementing the UN Sustainable Development Goals (SDGs) began with the welcoming speech by the co-chair John Hancock Dickson. After explaining the reality of the divided Korean Peninsula via a video, Standing President Seo In-tak of AKU urged young leaders’ support and participation for peaceful unification on the Korean Peninsula by saying, “Unification on the Korean Peninsula is the one and only solution to prevent a threat to world peace and save 26 million North Koreans living a miserable life in the blind spot for human rights.” Subsequently, President Seo introduced the ‘ONE K Campaign’ for spreading the vision of the Unified Korea promoted in 2015, explained the background and future plan of the ‘ONE K Global Campaign’, a global unification movement supported by the global civil societies, and then welcomed Jimmy Jam and Terry Lewis, the world-class producer. Urged the practical support and participation for the ONE K Global Campaign for peaceful unification on the Korean Peninsula. Jimmy Jam and Terry Lewis, the producers of world stars such as Janet Jackson, Prince and Mariah Carey and the 6-time Grammy winners, said, “A song that comes to our mind is “We are the World” written by Michael Jackson and Lionel Richie and produced by Quincy Jones, which greatly impacted the world. A song can move people's minds more than a pen and a speech.” “For the success of the ONE K Global Campaign for the unification of the Korean Peninsula, we need the practical support and participation of you who are representing the world”, they added. The IYLA Global Summit was held as a part of effort to implement the UN Sustainable Development Goals for national current issues. This program to promote the UN SDGs and nurture youth leaders continued for 10 days starting from Washington D.C on August 5 to Philadelphia and New York.